Rent chateaux in West Linton, Scotland. Linton Lodge is a prestigious estate house built to exacting standards with 7000 sq ft of living space. 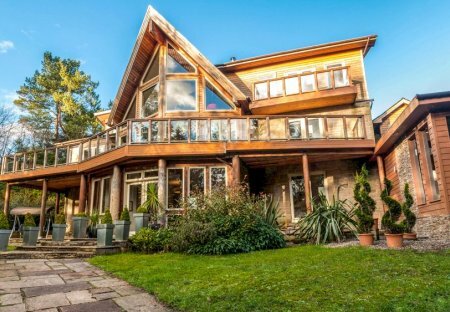 The lodge is set in over an acre of wooded garden only 20 minutes from Edinburgh.